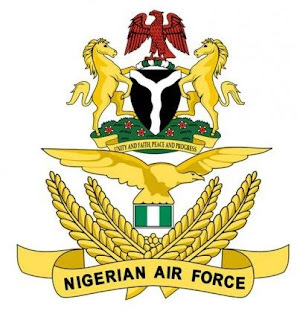 The Nigerian Air Force (NAF), in furtherance of its humanitarian support to victims of the Boko Haram insurgency, has established another field hospital to cater for the healthcare needs of internally displaced persons (IDPs) in Bama. The latest facility makes the second field hospital to be established by the NAF in Borno State to cater for IDP needs, with the first being in Dalori IDP Camp. A statement signed by the Director of Public Relations and Information (DOPRI), Group Captain Ayodele Famuyiwa said the Bama IDP Camp, before now, had been in dire need of additional medical facilities as the only medical outfit established by UNICEF was already overstretched and lacking the requisite facilities and manpower to adequately cater for over 9,450 IDPs in the camp. The statement said establishment of the new NAF Emergency Hospital is expected to ease these challenges as well as alleviate the sufferings of the IDPs while the federal government perfects the plans for their return to their villages. He said the purpose of the NAF humanitarian efforts is to endear the victims and gain their support for the NAF, and by so doing, acquire the necessary intelligence needed to successfully prosecute the on-going counter insurgency and counter terrorism operation.